In Lars von Trier’s hotly anticipated The House That Jack Built, star Matt Dillon leads us deep into the colorful criminal mind of Jack, serial killer, through a story of art and murder told in multiple parts. For our latest Film Comment Talk, we are pleased to welcome Matt Dillon to the Film Society of Lincoln Center for a conversation about this fascinating character—part of a career of indelible collaborations with auteurs including Francis Ford Coppola and Gus Van Sant. 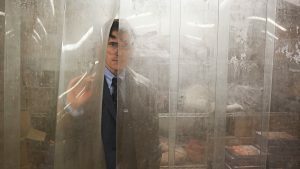 The director’s cut of The House That Jack Built screens on November 28. Get tickets.